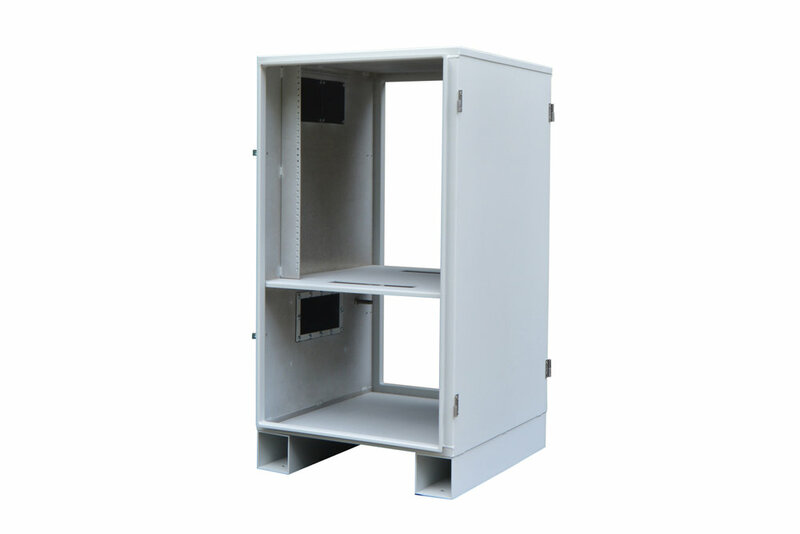 A purpose built, weatherproof, cost-effective, network gear enclosure. The IOIOBox has been designed by veteran Wireless ISP engineers. With all the features a WISP needs, and no fluff. Designed specifically for WISPs by a WISP. Why? Because all the other options just don't work. Before IOIOBox, our options were either an overkill enclosure at $2,000+ or a bunch of options that were either too small, too big, too heavy, wrong mounts, etcetera, etcetera. The IOIOBox is proudly produced with American sourced materials, right here in Oregon. 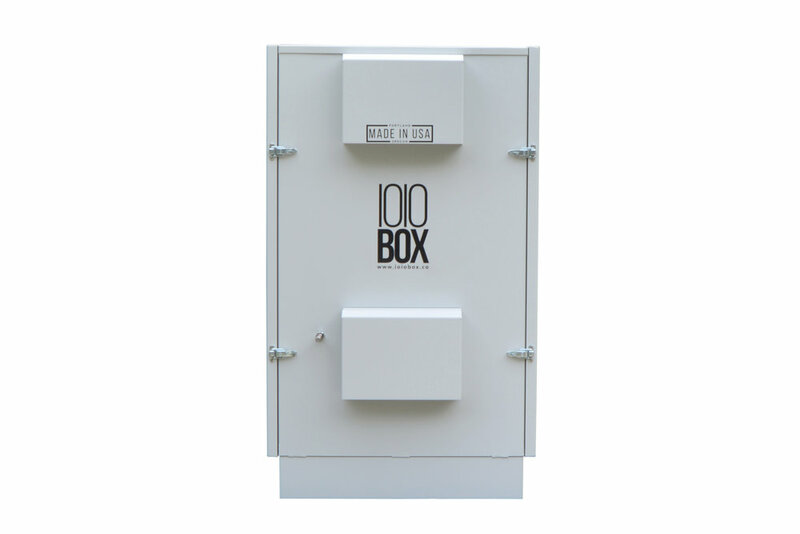 Built with all industrial .09" aluminum, the IOIOBox is durable, making it the ideal enclosure in all types of environments; and it is lightweight, giving you the flexibility of being a one-man crew. This enclosure was engineered to minimize weld points by maximizing bent metal, top that off with heavy grade stainless steel latches and hinges, and we can promise this will be the last enclosure you'll ever have to buy. Room for 11 standard 19" 1u rackmounts using 10-32 mount points. Mount your switches, routers, POE controllers, servers, and there's still room for more. That's right! No more dropping screws in the bottom and performing endless finger pilates to retrieve it. Our doors span the entire surface of the enclosure, swing wide open, and completely detatch to provide easy access on opposite sides. Fully vented with mesh screens to protect from airborne particles and pests. Higher temperature climates can opt for the cooling package with two high-volume fans that can be powered via PoE or any DC option of your choice. A dividing shelf splits the enclosure in two allowing for the separation of necessary equipment. We cut two cable passthrough options, one in front and one in back for easy access to cable feeds. Simply put, weather ain't got jack on this box. Put it anywhere, it'll be fine. We promise. 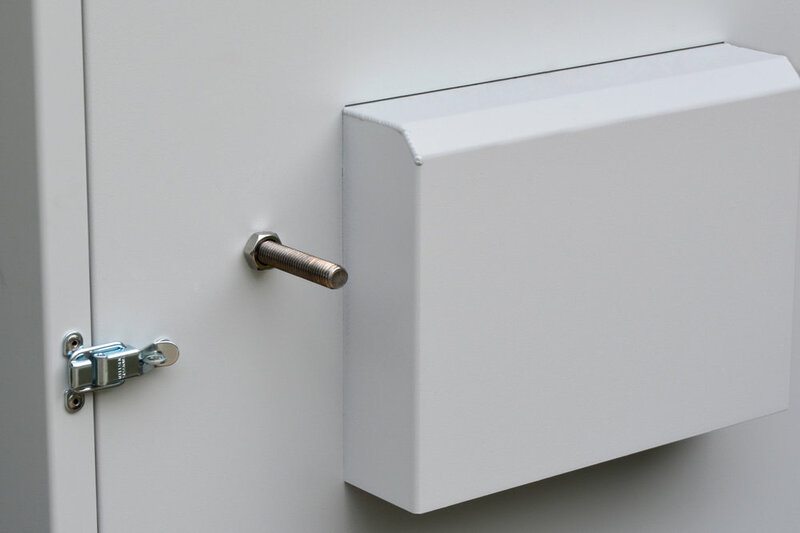 A 1/2" grounding rod built into the enclosure maximizes the possibility of arresting surges of all kinds. The lower compartment is designed to hold enough DC batteries to support your entire site through even the longest of power outages. It's separated from the upper compartment for added safety. The IOIOBox has a 8" x 4" cable port with a completely sealed premium rubber access flap, allowing you to cut your own push-through cable ports for a truly customizable setup. Designed with "through" feet IOIOBox provides multiple options to weigh down, chain, or otherwise secure the enclosure. These feet have four holes for easy mounting to concrete pads or even casters. Your techs will love it with padlock-able latches there's no new set of keys to track. 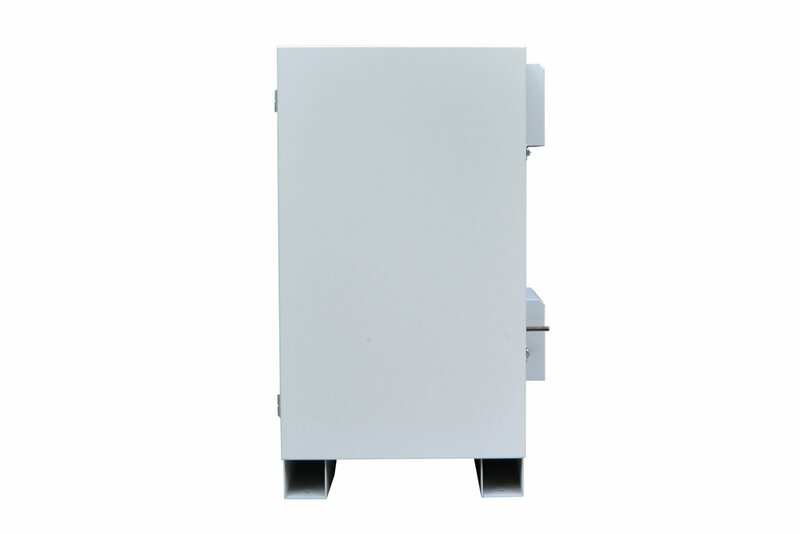 The IOIOBox was initially designed with the WISP industry in mind. Throughout our research however, we saw the lack of versatile indoor/outdoor enclosures on the market across the board. All of us deserve better. So, throughout development we kept in mind all possible uses to bring you the IOIOBox we have today, fit for us all. Featuring an upper vent to facility cooling and a lower cable access port, both fully protected from the elements. Keeping one side of the enclosure completely flush ensures you're able to place your IOIOBox up against a building or existing installations, without hindering its performance or function. Designed with "through" feet IOIOBox provides multiple options to weigh down, chain, or otherwise secure the enclosure. These feet have four holes for easy mounting to concrete pads or even casters. Heavy grade stainless steel latches with passthrough padlock option for your existing padlocks/keys. The IOIOBox has a 12" x 6" cable port with a completely sealed premium rubber access flap, allowing you to cut your own push-through cable ports for a truly customizable setup. Fully vented with mesh screens to protect from airborne particles and pests. Higher temperature climates can opt for the cooling add-on with two high-volume fans that can be powered via PoE or any DC option of your choice. The Perfect Enclosure. And Nothing Else.